50 Years. 27 Branches. 48,000 Satisfied Clients. Over the years, Alsco has changed dramatically. But in that time, one thing hasn’t. That is – our dedication to providing you with a service that is reliable, cost-effective and carefully tailored to your business. From commercial linen services to uniform rental, Alsco’s expertise runs deep and wide – across a variety of capabilities. Because you shouldn’t have to worry about juggling dozens of services. Most importantly, you shouldn’t have to worry about your business’s cashflow – and unexpectedly crippling purchase fees. You’re in the business of saving your time and money. You’re in luck. At Alsco, we are, too. Why Should You Rent With Alsco? Alsco’s Managed Rental Service is the smart, money-saving option thousands of savvy businesses are choosing across Australia. Our rental service is more than just renting. It’s a comprehensive solution to your business worries – from convenient, cashflow friendly payments through to a regular service – completely flexible to your needs. As a business, you need to decide between renting and buying. From linen services to staff uniforms through to compulsory first aid kits, it’s a continually costly, agonising debate. Luckily for you, Alsco makes that decision easy. With a single annual payment , we take every worry about cashflow, maintenance and legal hoops – out of the picture, entirely. Learn more about the Benefits of Renting vs Buying here. Curious about our managed rental service, but don’t want to commit just yet? Call 1300 659 892 or use the contact form. 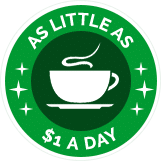 For as little as $1 a day – or the price of a coffee – you can take advantage of Alsco’s rental service. Need to scale up your demand during holiday season? We have you covered. Need emergency supplies or services – almost immediately? You’re covered. Want the basics – like soap, towels, uniforms and mats – to be clean and ready for staff and customers – 100% of the time? We’ve got it covered. At Alsco, green runs much deeper than our logo. It’s a reflection of how we do business . Choosing Alsco means choosing a brighter, greener future for our environment. Not only that, it also means creating cleaner, healthier Australian workplaces. Check out Alsco’s Greenroom – our community hub for all things clean and green. Alsco is passionate about supporting communities – both nationally and internationally. Starting in Australia over 50 years ago, communities have been vital in Alsco’s success. That’s why we believe in giving a little back to the people. 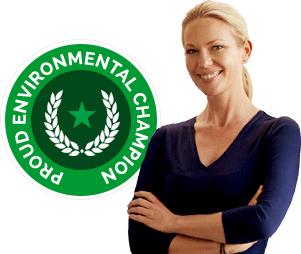 We offer 100% PVC-free mats and facility products and adhere to the strict standards and certifications of Green Seal, Eco Logo, Design for the Environment, Enviro Kleen, and the National Floor Safety Institute. 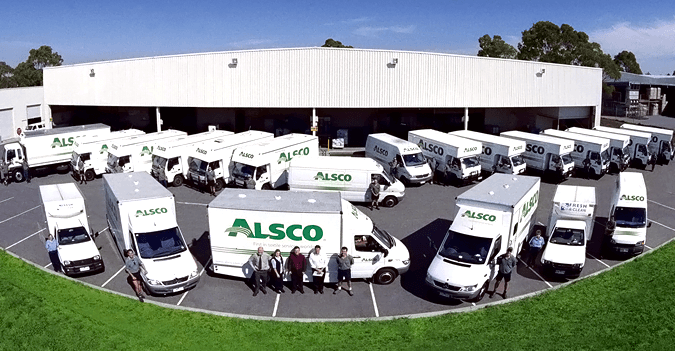 With over 27 branches across Australia, Alsco is committed to providing local businesses with convenient, flexible services. Beyond this, we make sure to invest in the businesses that have supported Alsco in becoming Australia’s largest textile supplier over the years. Alsco’s Greenroom is where we give a little pack to the businesses of Australia. The Greenroom is a space where businesses can share their stories, learn from Alsco’s experts, and make their workplaces safer, cleaner and greener. With only US$50 in his pocket, 15-year-old George A. Steiner made the first steps in establishing Alsco by purchasing the local towel delivery route in Lincoln, Nebraska from the Lincoln Steam Laundry. Through a little sweat and elbow grease, George and his younger brother Frank helped Alsco flourish on the ever-changing American frontier. During the 1960s, Alsco began to expand to new horizons which included Argentina, Mexico, South Africa, and Italy. The business thrived in those regions thanks to its reliable, high quality laundry and delivery service. 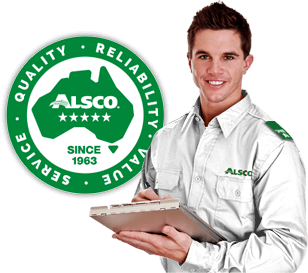 Fast forward 125 years, Alsco now has 3000 employees that serve 48,000 satisfied customers all across Australia. 27 branches provide managed rental services within commercial linen, uniforms, first aid, hygiene and more. We’ve come a long way since the early days. But there are a few things that have stayed constant. That is, our unwavering commitment to providing your business with flexible, convenient, cost-effective rental services. That’s the Alsco guarantee. Are you ready to join thousands of Australian businesses in using Alsco’s managed rental services? Ready to save money, time, and hassle with Alsco? Call us at 1300 659 892, or use the contact form. Our friendly, informed sales staff are waiting to help. Test out our uniquely professional service – no strings attached.